President George H.W. 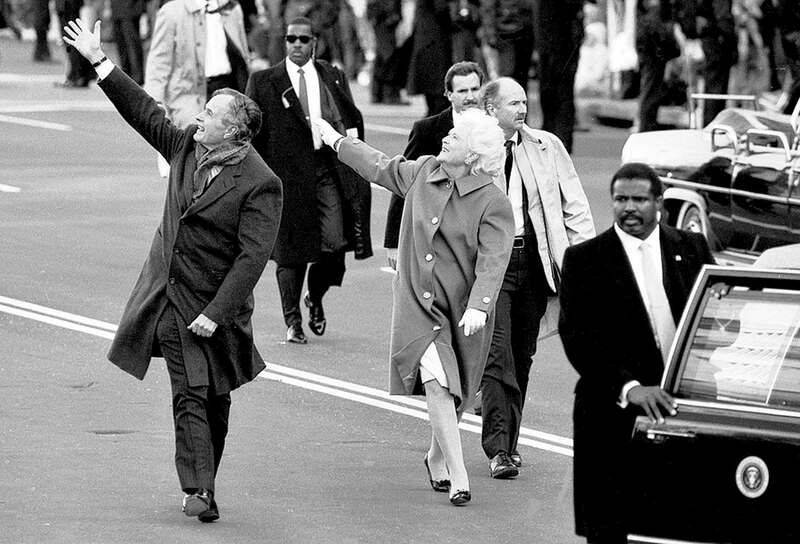 Bush and First Lady Barbara Bush wave to the supporters that lined Pennsylvania Ave. as they walked part of the parade route on Inauguration day, January 20, 1989. Bush was sworn in as the 41st President.